The word shampoo was derived from the Hindi word champo which itself is derived from the Sanskrit word chapayati means to press, knead and soothe. India has an ancient history of boiling various herbs together to use as a shampoo. A very common one was boiling Sapindus with Indian gooseberry or amla along with other herbs. So, if you have a bent upon natural haircare remedies, then we have a plethora of herbal shampoos in India. The herbal cosmetic manufacturers seem to draw their inspiration from the ancient Indian Ayurveda. 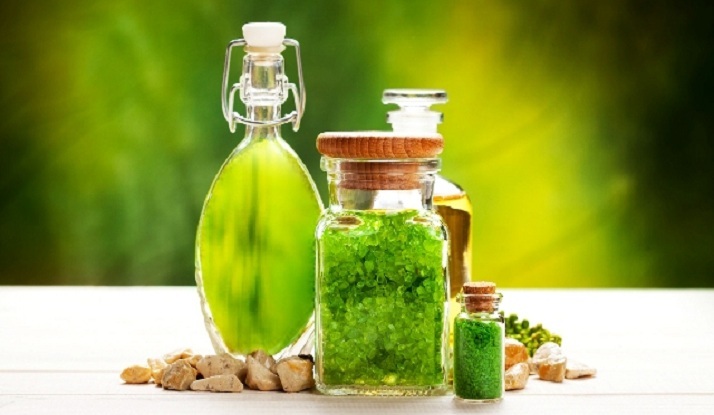 Providing treatment for each and every type of hair problems, keeping the traditional herbs as the key ingredients is the prime focus of these herbal shampoo manufacturers in India. The ingredients of these herbal shampoos have a cure for a number of issues like dandruff, dry -itchy scalp, fungal infection etc. Amla- Known as the Indian gooseberry, amla has anti – oxidant properties which stimulates the scalp due to its high level of vitamin C. It has been used for near about 3000 yrs. Shikakai- The plant is generally found in South India. Its fruit pods, leaves and bark of the plants are used for the ingredients. Its low pH level is its key factor. It cleanses the hair gently without stripping the hair of its natural oils and also is used as a natural detangler. Reetha- Reetha- is the Hindi name for the fruit of the soap but tree. It has anti-bacterial, anti-fungal properties for which it is used to treat dandruff. It is the main lather forming ingredient of the herbal shampoo. Methi- the seeds are used in the powdered form. Also used as a spice, it promotes hair growth. Hibiscus- out of the variety of species found, Hibiscus Rosa sinesis and Hibiscus Sabdariffa are beneficial for hair problems. The deep red flower promotes hair growth, invigorating the scalp. Also is used for colouring. Brahmi- it is a combination of two herbs, Centella asiatica and Bacopa monneiri. It has a Lord of benefits, and increases blood circulation in the scalp. Neem- its rich content of omega 6 and vitamin E are used to combat dryness if hair as it acts as a terrific natural conditioner. Aloevera- It is one of the best nature soothers. It is rich in minerals, vitamins, amino acids and fatty acids. It provides relief to dry and itchy scalp and treats inflammation. Lime juice- It is used to Offer the additional benefits of vitamin C, and neutralize oily hair. Herbal shampoos have always gained an upper hand on the chemical ones. The herbal shampoo manufacturers in India have their own USP which attracts the women to such products. The benefits of herbal shampoos are as follows. The First benefit is it reduces hairfall naturally. Use Methi or fenugreek seeds in your shampoo and get rid of hairfall. Herbal shampoos are best in promoting hair growth. Methi also comes into the scenario when hair growth in concerned. Your hair can regain its natural shine using herbal shampoo in less than a week‘s time. Treat your hair with aloevera and get rid of dry, itchy scalp. Add lime juice- in your herbal shampoo and neutralize your lily hair. Natural ingredients ensure that they protect the hair as well as the environment.